Musicians often say that a strong song will stand straight under any condition or arrangement. Often is mentioned that when it is sung accompanied by acoustic guitar, the quality will prove itself. 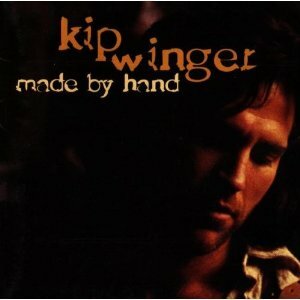 Well if that is the case, what Kip Winger has done on this album is nothing short of stunning. This is a collection of his songs (both from solo and from his band), done different. Focus is on acoustic guitar and his voice, along with some percussion, bass and piano. And sometimes backing vocals. When first track Another Way starts up, I already get goosebumps. Okay, I love his voice under any condition, but his guitar playing is hitting the mark as well. How strong is a track when it is able to enchant with minimal effort? Every track here, whether Down Incognito, or Under One Condition from his hard rocking days, or How Far Will We Go, or Daniel from his solo work, is given the same low profile treatment. Yet all are so damn beautiful, it just hurts. What a feel, what songs, what melodies, what a talent! The perfect album for any circumstance, so essential. Even for people not into rock.